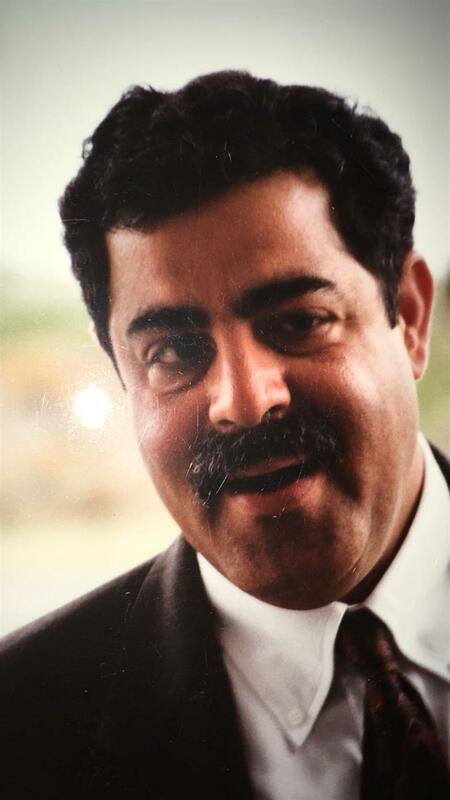 Assaf Al-Salem says: "I transitioned into trade after a long time of working in office jobs. My last office job was in the investment department at KPC's regional office in Italy, and I learned a lot from it. One of the most important lessons I learned is how to communicate with different international sectors." Al-Salem left his job at Kuwait Petroleum International because he wanted to seek independent work away from restrictions of the office job.He says he wanted to pursue trade, something his family was involved in for many years and he discovered his passion for it too. 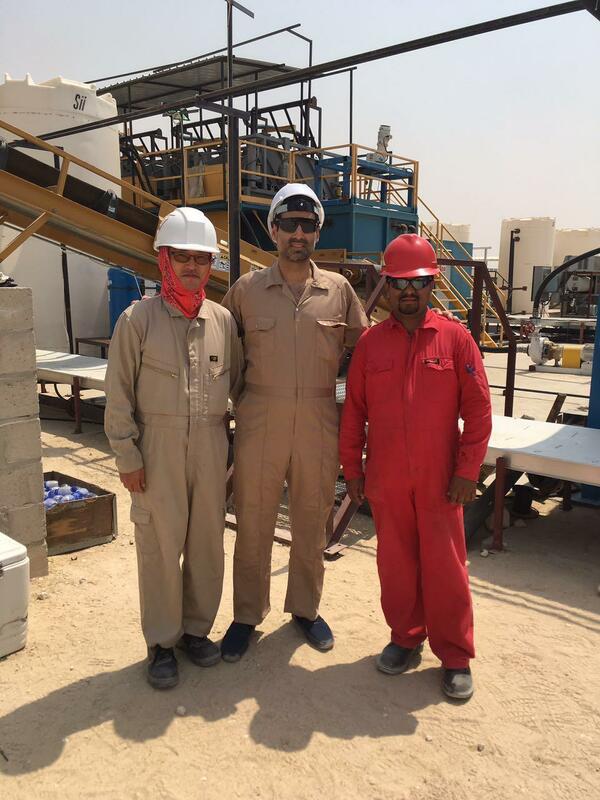 The young businessman and owner of Tharwa General Trading Company, managed to leave a mark on the field of trade in oil facilities' maintenance, and established his position in the Kuwaiti market. Despite the difficulties he faces working in this highly competitive field, the odds never stood between him and achieving his limitless goals and ambitions. Al-Salem believes that perseverance and optimism are important to overcome all obstacles. Why did you decide to leave the Oil Sector? I had plans in 2005 to move to work in the private sector, and from there came the idea to establish a private company that presents advanced and international technologies that can benefit the oil and environmental sectors in Kuwait. The market at the time was very encouraging for taking risks and achieving success. I benefited from the spread of Asian companies and their dominance over the execution of mega projects in Kuwait, which gave them sole authority to control prices. The company began by recruiting the services of Indian companies, and we were the first to enter them to the Kuwaiti market after their wide success in achieving mega projects in Saudi Arabia and the UAE. We won major tenders for projects by Kuwait National Petroleum Company, including the fuel depot at Kuwait International Airport. We also had deals with Kuwait Oil Company through environmental projects. What are the advantages that you obtained through your work in the Oil Sector and how did they contribute to your success? I was able to make friendships and special relationships that remain until today, since we have worked as one team for Kuwait's benefit, and to represent the country in the best way possible internationally at KPC's regional offices. It was a positive experience that I learned a lot from. For example, I am proud to say that I used to be a treasury representative at KPC's office in London, before moving to its office in Italy where I learned how to speak Italian and enrolled in various training courses provided by KPC. All these factors helped me shape the guidelines for taking challenges. What inspired the company's name? I chose Tharwa, which means wealth, to signify the natural wealth that Kuwait possesses, which includes bodies of water, desert terrain and oil, in addition to the fact that Kuwait enjoys a strategic geographical location. The mission of Tharwa Company is dedication towards Kuwait's environment through bringing in technologies from abroad and making them domestic. The Commercial Department at KOC helps in that regard by providing support to Tharwa and other private companies in terms of accreditations and technology transfer. This achieves successful collaboration between local and international companies and KOC to accomplish major and difficult projects. You mentioned working with KOC. What is the core of your job there? Yes, there is an environmental project in cooperation with KOC. 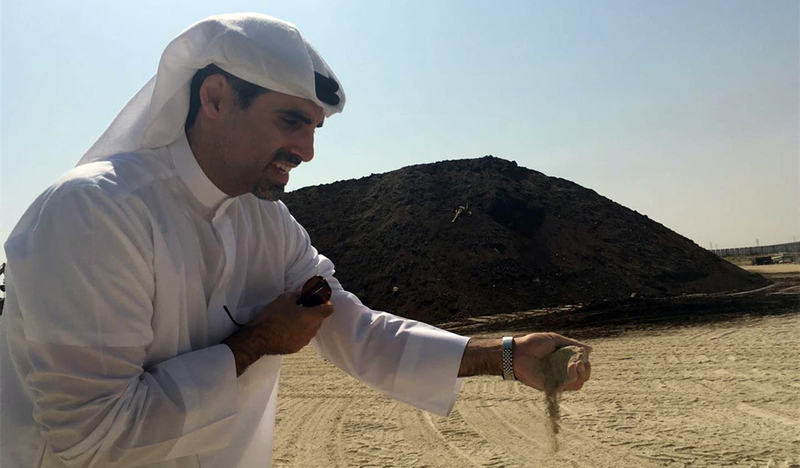 It is the first and largest environmental project in Kuwait's history for treatment of waste left behind by the Iraqi Invasion. In Burgan Field, there is a huge amount of leaked oil that is ten times bigger than the amount of oil leaked during the Gulf of Mexico oil spill, also known as the BP oil disaster. Thanks to God, we have international high standard technology to manage this waste. We established a factory with 35 machines for safe waste management, and soil is currently being treated according to international standards. Another project I also would like to mention is the Seed Project. It is the first environmental project to be carried out in Kuwait. We were the first to take steps towards investment in environmental projects, which have added value for the protection of the Kuwaiti environment from carcinogen and harmful waste. 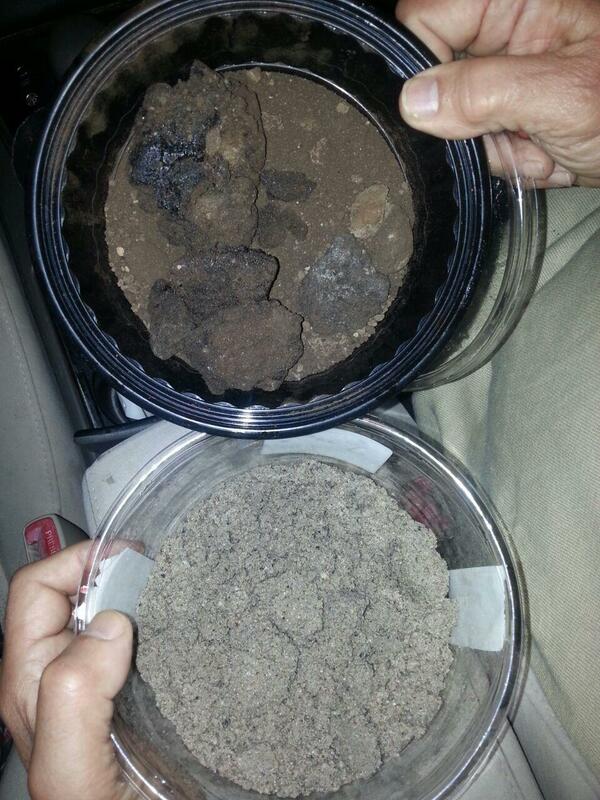 Therefore, the long-term goal of soil remediation is to protect the Kuwaiti environment and future generations. We carry out this project in cooperation with the soil department at KOC, which has been very understanding to the obstacles that we have faced at the beginning of the projects. They provided support that helped us reach the stage we are in today, and we are confident that we will meet the public goal of providing an integrated plant that remediates all kinds of polluted soil and manage oil pollution. Our common goal is a clean Kuwaiti environment for us and the future generations, which is a motivator for everyone working in this project. Going through this unique and long journey was not easy of course. How did you manage to overcome the odds? We have faced several challenges indeed. One of those challenges was issuing a license for the company from the Ministry of Commerce and Industry in the field of oil establishments' maintenance. It took a long time before the license was finally issued in 2012. Our activity prior to that was restricted to importing refineries and oil pipes. In 2012, we decided to shift our focus towards environment projects, which created another challenge in terms of importing equipment through the port; a process that took a lot of our time and effort as we scrambled to coordinate with the Public Authority for Industry, Environment Public Authority, Kuwait Chamber of Commerce and Industry, as well as air cargo and sea shipment companies. All these factors presented difficult challenges for us. Tharwa also faced one of its biggest challenges in terms of financing, but given our dedication and belief in the importance of environmental projects, we relied on self-financing after failure to obtain financing from the concerned local governmental bodies, because they did not initially believe that the project would be feasible. What inspired you to keep moving forward despite all of these challenges? I was inspired by my family's history which is filled with stories of labor and sacrifice for this country. 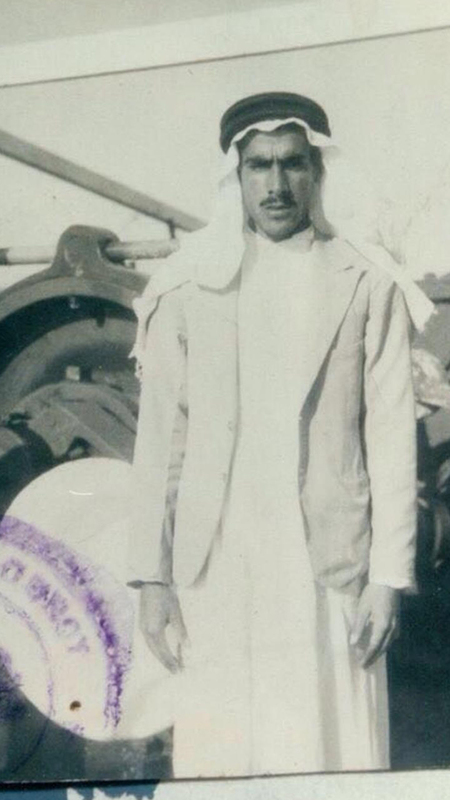 My late grandfather Salem Al-Salem owned a contracting company which built the Ahmadi oil residential company, including houses and offices. He also owned machines to make bricks. Meanwhile, my father Bader Al-Salem, a veteran engineer, designed an executed Al-Qurain residential area and the Central Blood Bank. In addition, my uncle Nasser Al-Salem is one of the founders of KPI, and is credited for shifting the company's focus towards the environment in order to achieve a quantum leap in this field for Kuwait among the advanced world's countries. We were born and raised in Kuwait with an abundance of wealth that secured decent and safe living for us. Therefore, taking on challenges and persistence to succeed inspires us to give everything we have to Kuwait. I am currently aspiring to enhance Kuwait's role as a leader in environment protection in the oil sector. We also aspire to exert more effort to maintain Kuwait's wealth, and in that regard, we follow the example of the Environment Public Authority and Amiri Diwan which ordered the establishment of several nature reserves and holding awareness programs to protect Kuwait's wildlife..